Your host greets you in the lobby of your hotel then settles you in your private Mercedes van. A drive through the historic ‘Rocks’ area with stories of Australia’s Colonial past, then under the Sydney Harbour Bridge. 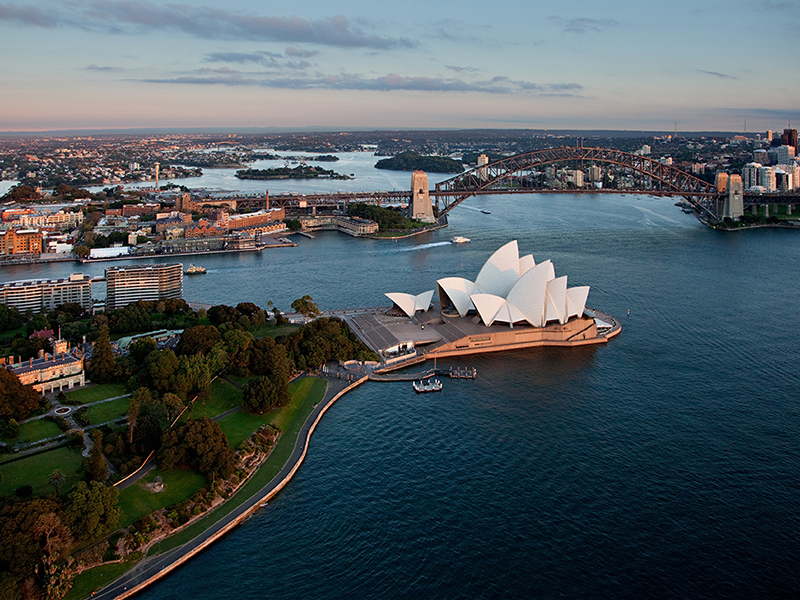 Your destination – the most famous building of the late 20th century, the Sydney Opera House. Meet your personal guide for your private tour* of this iconic building. Cruise historic Macquarie Street’s heritage buildings, Cathedral and Great Synagogue then into The Royal Botanical Gardens for Sydney’s finest camera angles. Travel through Woolloomooloo and racy Kings Cross before the trendy villages of Paddington and Woollahra – century old terrace houses, art galleries and boutiques. Reaching the coast discover the beaches of Bronte, Tamarama and famous Bondi. Alternatively, choose a section of the Coastal Walk** before lunch. Either way you dine at iconic Icebergs Bar & Grill^ – overlooking the most famous surfing beach in Australia. Head back to the city via the harbour foreshore villages of Rose Bay and Double Bay. The discoveries continue with a drive through the established uptown shopping area, on the way to Sydney’s hot, new commerce and cuisine precinct at Barangaroo. Enjoy a stroll around, try a Riva Reno gelato where they fly in the milk from Italy. Deliciously ironic. Many pictures later your host returns you to your hotel. Or, you may prefer to stay and replay your day in Barangaroo. Either way, a most iconic Sydney day. **Walking distance 2.5 miles or 5,000 thousand steps – fitness level medium. You’ll feel especially welcome with your personal guide in ‘our house’, the affectionate moniker Sydneysiders have for their Sydney Opera House. Gain a unique insight into the past, present and future happenings in one of the busiest theatrical spaces on the planet. And definitely the most spectacular. 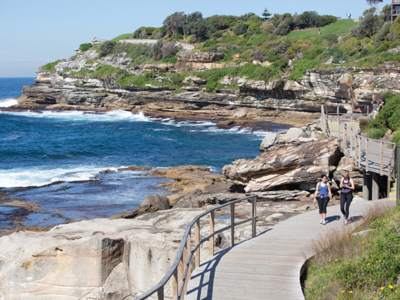 A spectacular cliff top coastal walk extending 6km in Sydney’s Eastern Suburbs – full walk Bondi to Coogee two hours. Best enjoyed in a shorter form – Tamarama Beach to Bondi Icebergs – 1.2km: Time: 25 minutes + stops. Difficulty: Medium (steep stairs, paved track). Recommended: comfy shoes, hat, sunglasses, sunscreen, water and in colder weather layers. 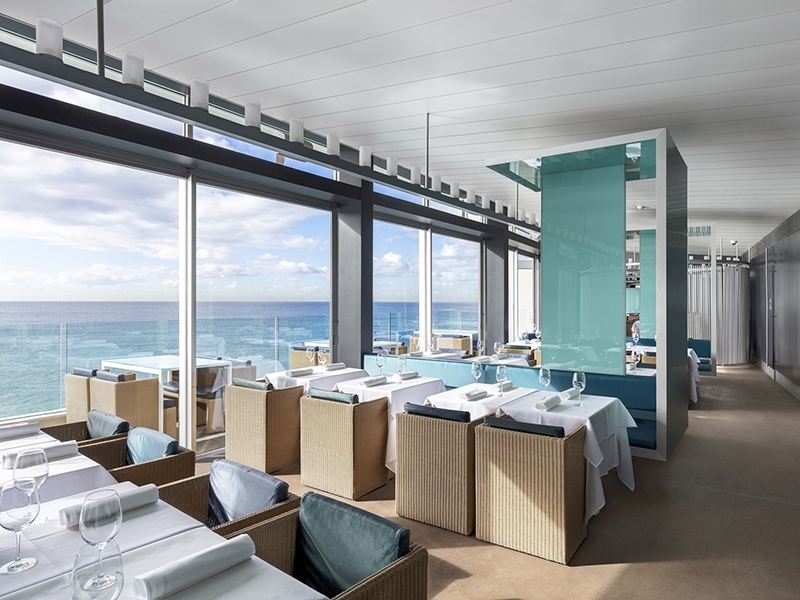 At Icebergs the Dining Room is arranged to take in the famous view of Bondi. The modern Italian menu gives you the best produce that Australia has to offer, including sustainable seafood, artisan produced small-goods and the occasional hint of native Australia just for context. An iconic experience that will stay with you.